David, a native of Longview joined Gans & Smith in 1985 after starting his career as a claims adjuster with Sentry Insurance. David's background in claims and understanding his clients' needs made him a successful agent. He was named a Partner and Vice President at Gans & Smith in 1988 and President in 2012. David recently received the 2012 Chairman Award from the Longview Chamber of Commerce for his selfless and faithful contributions to the Chamber and the City of Longview. In 1993 David was named Independent Agents of Texas Young Agent of the Year. David has served on several companies agent panels. In 1996 David earned the designation Certified Insurance Counselor (CIC) and continues his education through annual conferences and seminars. David has dedicated himself to his profession and making Longview / East Texas a better place. David was Mayor of Longview, served 2 terms on City Council, Longview Partnership Chairman, Past President of Independent Insurance Agents of Longview, served on Independent Insurance Agents of Texas Board of Directors, coached League Baseball for over 30 years and League Soccer for 9 years. David is married to Susan and they have one son William. David enjoys travel, golf, and spending time with his family. Vice President in 1988. Hank is a past United Way Board Member and currently serves in the Downtown Rotary Club, Longview Chamber of Commerce, Longview 2020 Forum, and Board Member for the Gregg County Historical Museum. Hank is married to Lisa and together they have four children Trevor, Tyler, Blake, and Haley. Hank and Lisa enjoy travel, visiting their children, and family. 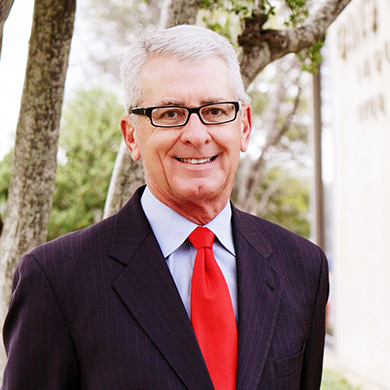 A native of Kilgore, Philip worked during the summers of his teen and college years in the East Texas oilfield before graduating from Stephen F. Austin State University with his BBA in Finance/Insurance Emphasis in 1973. 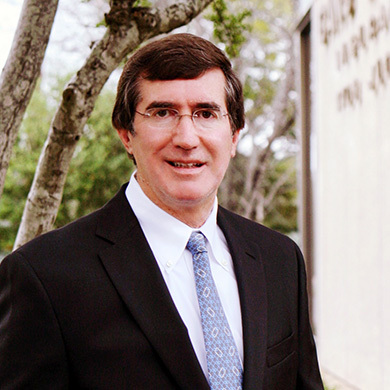 He began his insurance career in 1974 working with East Texas Independent Insurance Agents as a field representative for The Continental Insurance Companies. His desire to become an Independent Agent led him to Gans & Smith in March 1986 where he has been a Partner Since 1989. With his experience in and knowledge of commercial insurance and oil & gas production, he is able to provide insurance solutions for the specialized insurance needs of our many customers who provide services for this large segment of our East Texas economy. Outside of his work, Philip is actively involved in the Longview community as a member of the Letourneau University Advisory Council, Longview Rotary and Leadership Longview as well as his church where he serves as an Elder and sings in the choir. He and his wife have three married children and seven grandchildren. He enjoys spending time with his family and grandchildren, church and outdoor interests. Michael, a native Louisianan, moved to Longview in 2004. Michael began his Insurance Career in 2007 and has been employed as an Insurance Producer with the Gans & Smith Insurance Agency since 2008, and in 2011 was promoted to Partner. 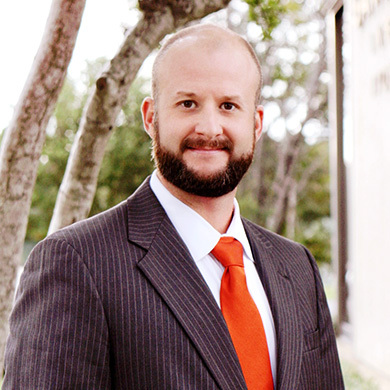 Michael has completed IIAT's (Independent Insurance Agents of Texas) Producer Development School along with obtaining the designation of Certified Insurance Counselor (CIC). Michael is very active within the Longview Community. He is a member of the Longview Chamber of Commerce, Longview Greggton Rotary, and Longview AMBUCS. Michael is a graduate of the Leadership Longview Program and was named an "Emerging Leader" of Longview in 2012. He is an active volunteer for multiple non-profit organizations and has served on numerous organizations Board of Directors that focus on the needs of the local communities throughout the East Texas area. Michael enjoys being actively involved with Longview Baseball, Soccer, and Basketball associations by coaching and helping multiple teams each Fall and Spring. Michael is married to his wife Julia and they have 4 children. Michael enjoys anything outdoors including hunting, fishing, golfing, swimming, cycling, running, competing in triathlons, and became an Ironman in 2015. Kirk, returned to Longview in 1992 after graduating from Texas Tech University. Kirk began his Insurance Career in 2009, joined Gans & Smith in 2012 and was named partner in 2014. He is active in the Longview community, as a member of First Methodist Church-Longview, Co-chair of the annual Friends of Asbury House Golf Tournament, active volunteer at the House of Disciples, Junior Achievement of East Texas and Longview Chamber of Commerce. Kirk also coached youth baseball and youth soccer. Kirk is married to Lynne and they have 2 daughters. Kirk enjoys outdoor activities including golf, running, biking and all of the activities his family is involved with. 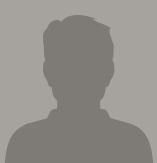 Gary has been actively involved in the insurance industry since 1970. After college and service in the USAF he began working as a management trainee in a major company giving him experience in claims resolution and underwriting. After working on the company side for a number of years, he obtained a license as a Local Recording Agent and began serving the retail public. He and his wife Dolly have five children and four grandchildren. He is a licensed pilot and enjoys flying general aviation aircraft as well as camping with his family. David was born and raised in Canada, but moved to the United States following his commitment to the United States Army. David has a business degree with emphasis on accounting. David joined the insurance industry in 1969, and worked on the company side of the industry until 1991 when he became an Independent Insurance agent with Gans & Smith Insurance Agency. Since joining Gans & Smith, David has worked to service his clients with consistency and integrity. David is married to Barbara and they have two children and two grandchildren. David enjoys spending his time on the golf course or at the lake. Mark began his career in the industry as a life insurance agent in 1975, and then obtained his Property & Casualty license in 1984. 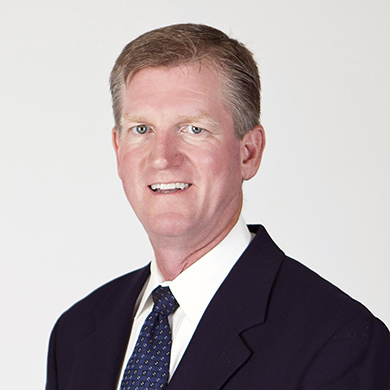 Mark has been an Independent Agent since 1987 and a member of the Gans & Smith team since 1995. Mark is a full service agent, but after growing up in the Construction industry along side his father has a focus on construction risks and their bonding needs. Mark is married to Sherry and they have 3 children. When Mark has spare time, he is working on the farm, hunting, and fishing. Tyler, a native of Longview, attended Texas A&M University where he graduated with a B.S. in Sports Management and Minor in Business. He began his insurance career in 2014 where he joined Gans & Smith to become a Producer. He is an active member of the Daybreak Kiwanis and also serves as a member of the Ambassadors with the Longview Chamber of Commerce. Tyler is married to his wife Kaitlyn. Outside of work, he enjoys spending time with his family and friends, golfing, watching Aggie Football, and other outdoor interests. Linde was born and raised in the health insurance business. Her mother and father owned an agency in Tyler where she worked summers from the age of 13 before going fulltime after college. 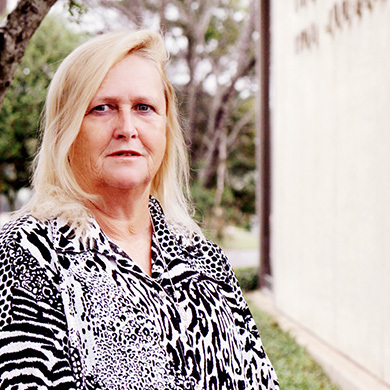 After the death of her father and retirement of her mother she continued to work in independent health and Life agencies in the Tyler area and as a Customer Service Representative for Aetna. Linde joined Gans and Smith in 1999 after moving to Longview and marrying Richard Belt. Linde is heavily involved in the martial arts including owning her own school locally as well as teaching both nationally and internationally. Hobbies include oriental gardening, going to estate sales and loving her grandkids. Vickie Johnson began her career in the insurance business at Gans & Smith in 1974. Through the years, Vickie has served in various capacities. Vickie is our personal lines manager and systems coordinator. 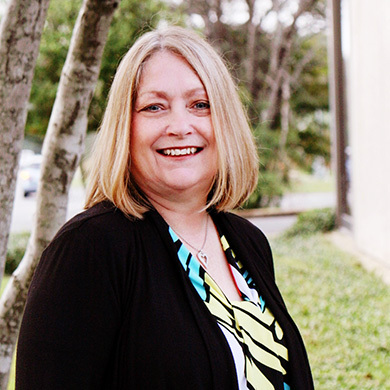 Vickie holds an associates degree in Computer Science, additionally has earned the Certified Insurance Counselor and Accredited Customer Service Representative designations in both personal and commercial insurance. 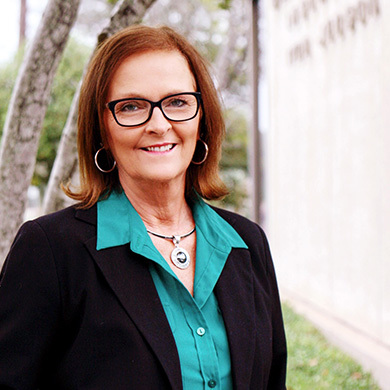 Vickie has served in the East Texas Women's Insurance Association, a chapter of the Federation of Insurance Women of Texas. Vickie is married to Gary Johnson. In her spare time, she enjoys sports events, reading, baking sweets, and playing WII games. Ann is a native of Longview and started her career in insurance in 1977. She attended Johnson County Jr College while working at her Uncle's insurance agency in Kansas City, MO. She moved back to Texas in 1982 and continued her career in insurance. She has been with Gans & Smith since 1995 and is our Commercial Lines Manager. She has earned her personal and commercial Accredited Customer Service Representative (ACSR), Society of Certified Insurance Service Representative (CISR), and Certified Account Manager (CAM). 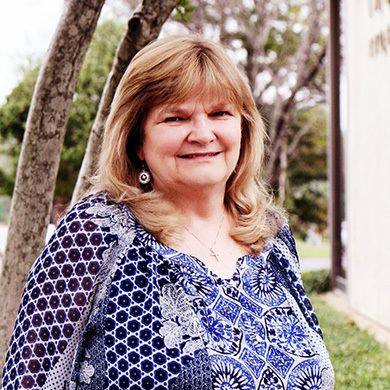 She has served in the East Texas Women's Insurance Association, a chapter of the Federation of Insurance Women of Texas and 1997 Insurance Woman of the Year. She was awarded ACSR of the Year in 2007 by the Independent Insurance Agents of Texas. Ann, is maried to Chet and they have 3 children, and 7 grandchildren. She is Preschool Director at her church, and in her spare time you can find her playing with the grandkids or her many other little friends, reading, cooking, sewing, and traveling with her husband. Jessie Savell began her insurance career in 1973 with a local Independent Agency. In 1980 Jessie joined Gans & Smith Insurance as a Personal Lines CSR and transferred to the Commercial Lines department in 1987. Jessie was promoted to the Accounting department in 1991 then to Office Manager in 1995. Jessie is a graduate of Kilgore College, has earned the Accredited Customer Service Representative designation in both personal and commercial lines insurance, and has served in The East Texas Women's Insurance Association, a chapter of The Federation of Insurance Women of Texas. Jessie is married to Dale and they have 2 sons and one grandson. In her spare time she loves keeping the grandbaby, ATV riding, and gathering with friends.